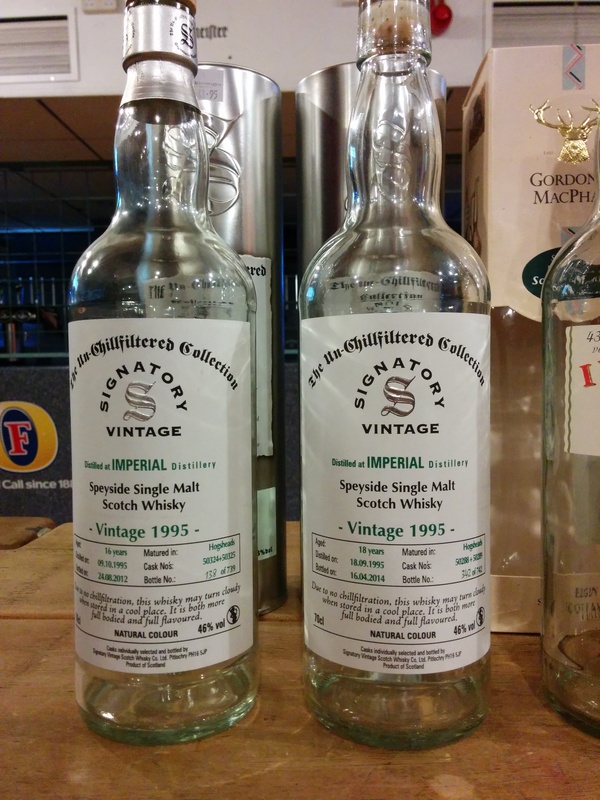 An un-chillfiltered Imperial single malt, bottled by the lovely folks at Signatory. Taken from two hogshead casks filled in September 1995 and emptied in April 2014. 742 bottles of whisky from this closed distillery were produced. Distilled 18th September 1995 and matured for 18 years in Hogsheads 50288 & 50289 this was bottled on the 16th March 2014 and produced 742 bottles at 46% ABV. Dram #2 from Thomas McEntee’s Imperial Tasting for the Water Of Life Society held on 12th March 2015. 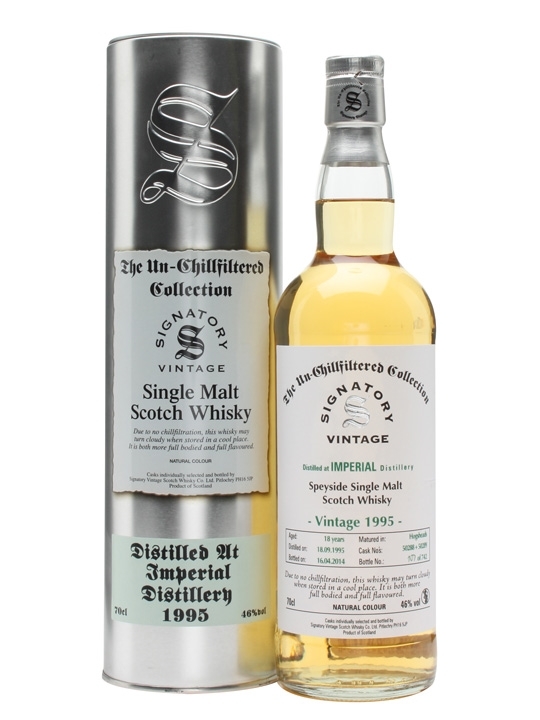 Again an Un-Chillfiltered Signatory bottling from 1995 but this time matured for 18 years in a pair of Hogsheads.